Rapidly unfolding events in the Middle East will shape the future, not just of Israel but of our entire world. This insightful commentary by Rabbi Jonathan Bernis combines historical, biblical, and prophetic teaching to help you understand what's happening and how Believers should respond to these events. 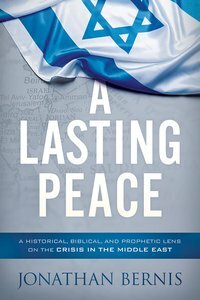 About "A Lasting Peace: A Historical, Biblical, and Prophetic Lens on the Crisis in the Middle East"